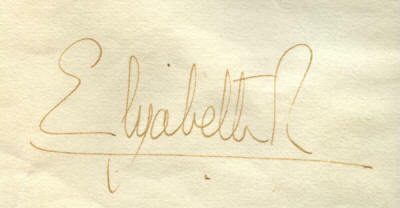 Elizabeth Alexandra Mary, 1926–. Queen of the United Kingdom of Great Britain and Northern Ireland, 1952–. 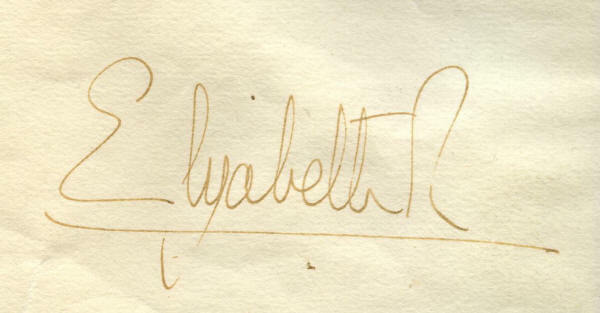 Partially printed Document Signed, Elizabeth R, one page, 16½" x 21", with blind embossed seal, given at the Court of St. James's, November 2, 1966. Queen Elizabeth II, thinking it “necessary for the encouragement of Our Subjects trading to Germany to appoint a Consul to reside at Berlin,” appoints Arthur Desmond Mitchell consul "to take care of the affairs of Our said Subjects and to aid and assist them in all their lawful and mercantile concerns." 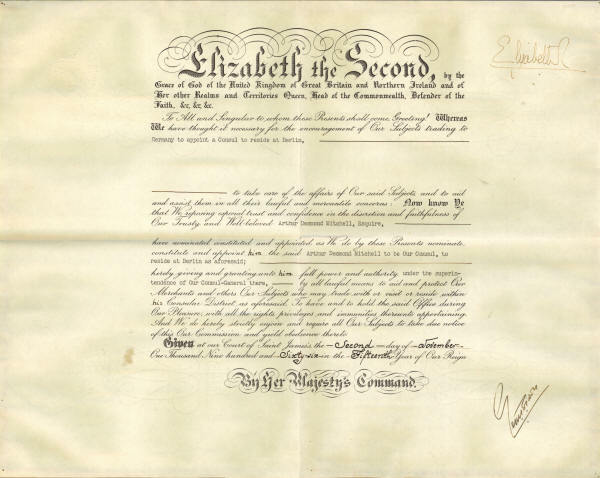 This is a large, ornate document with a 3½" fountain pen signature of Queen Elizabeth at the upper right and the Queen's blind-embossed seal at the upper left.  The heavy paper bears the Queen's large ER watermark. It has one horizontal and one vertical fold, a few bends from storage, a small stain at the lower left corner of the text, and pin holes in the corners. There are mounting remnants on the edges of the back side. Overall the document is in fine condition. royalty items that we are offering.